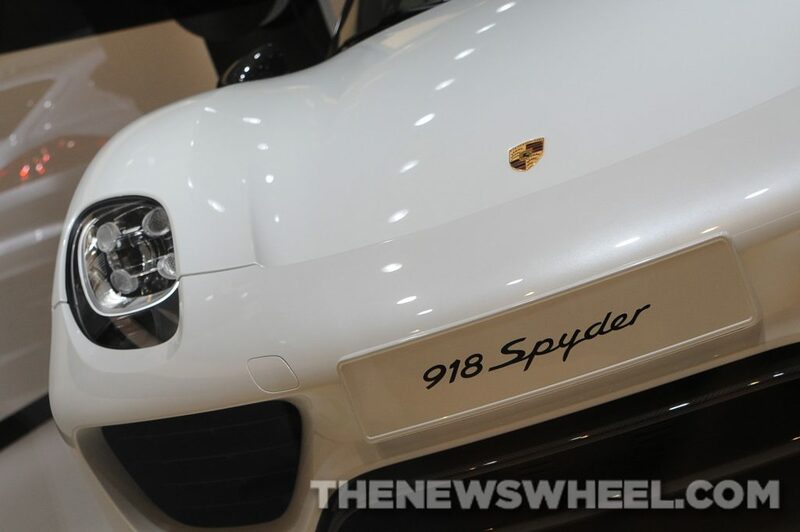 Porsche NAIAS Display: Is That Cinnamon I Smell? Ready to eat the next unsuspecting floor model we saw, Marci and I agreed that Porsche should probably be our last stop before lunch because, and don’t quote me on this, I don’t think resorting to cannibalism on your first business trip is the best way to represent your company. It didn’t help, however, that when we got to the Porsche display, we were hit with an overwhelming cinnamon smell. At first I thought it might be a scent they were releasing, like Nissan’s Scent of the Future (read all about that here; just be sure to put in your nose plugs first). Eventually we learned that the cinnamon scent was coming from a random fudge concession stand strategically placed behind Porsche’s walls, and it smelled like the tree in the Keebler Forest or a house full of grandmas baking. Never before have I wanted fudge so badly. 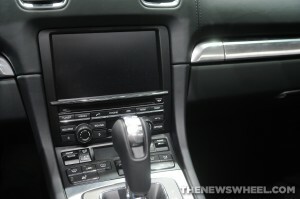 Trying to block out the beautiful scent and the roar of our tummies, we checked out the all-new Porsche 911 Targa. It was sleek; it was powerful; it was way out of my price range. The Targa turns 50 next year, but even on its 49th birthday, it looks incredible (although quite similar to previous 911 models, per usual). Both the Targa 4 and 4S will distribute power among all four wheels via a 3.4-liter six-cylinder engine that outputs 350 hp. 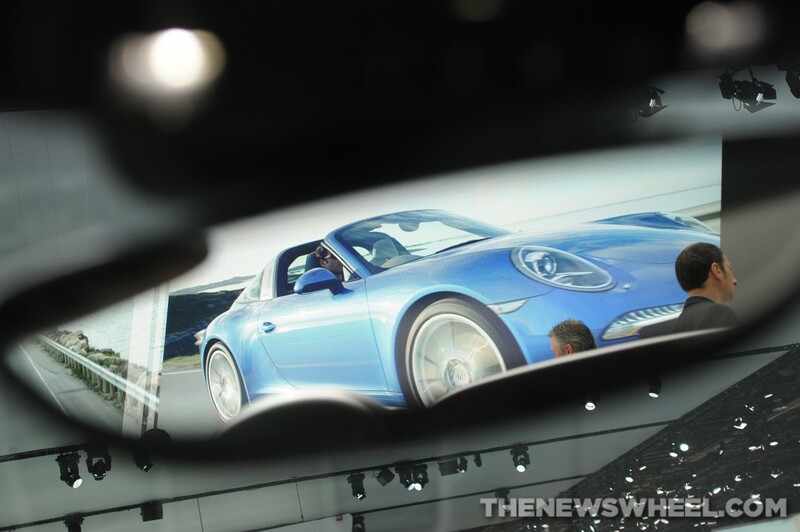 The 2014 Targa will rockets to 60 mph in 4.2 seconds and tops off at 183 mph. The 911 Targa distributes its power among all four wheels. The 911 Targa hits 60 mph in 4.2 seconds. 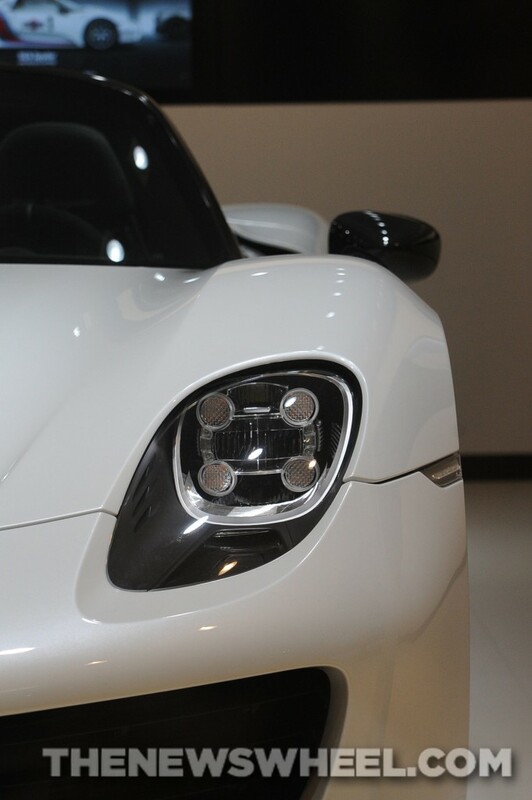 The 918 Spyder has an intimidating and aggressive, style, evidenced by the headlights. While checking out the Porsche section, I also made sure to climb inside a Boxster to give my opinion on what it felt like to sit behind the wheel. After I saddled up, Marci and I headed back into the main atrium to hunt down some victuals. We walked up and down that main hallway several times, seeing nothing but a bratwurst stand, which sold the strangest (and most expensive) weiners I’ve ever seen. We saw several people eating sandwiches and salads and such, but all we could find were bathrooms, coat checks, and of course the weiners, so that’s what we settled on. Six dollar weiners: Marci got a mac and cheese furter (“Supposedly,” she says. 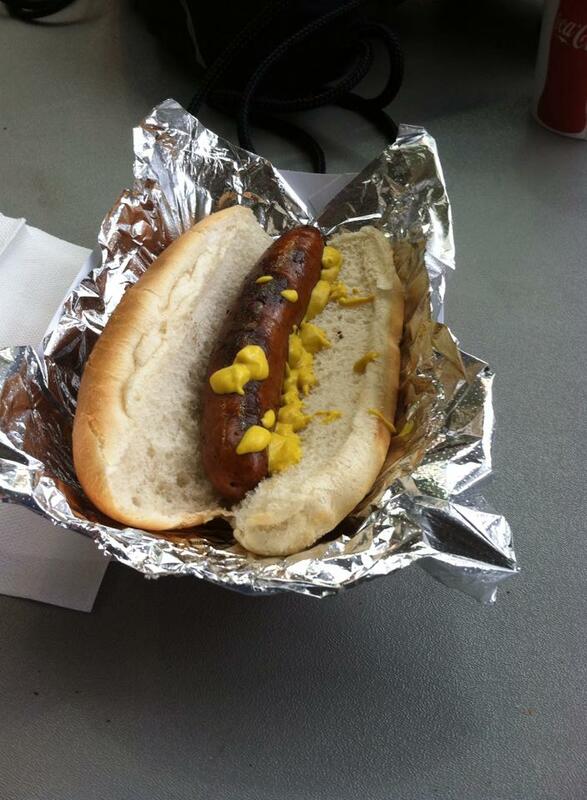 “It had no cheese.”) and I got a buffalo bratwurst. It wasn’t until we were searching for tables that we finally found the lunchroom with wraps, sandwiches, salads, soup, and more. Go figure. Embarrassed at our scavenging skills, we claimed a large table and were eventually joined by a father and his two sons and, much to our surprise, they were from Dayton, Ohio, as well. The dad even went to high school with Marci’s mom. Small world, eh? After wolfing down the brats and realizing just how tired we suddenly were, we went back inside to brave the biggest display of all: Ford.